Mark a special occasion (like a new baby!) by adding a mylar balloon to your basket or floral arrangement. 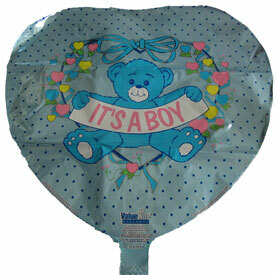 We have a variety of balloons for almost any occasion. when checking out please specify the occasion the balloon is for in the "Message to Seller" box.